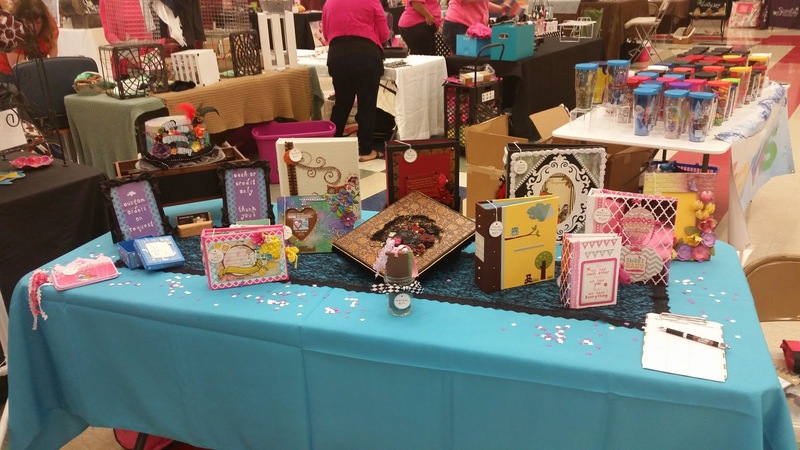 I finally did a craft fair and thanks to Gina everything went smoothly! 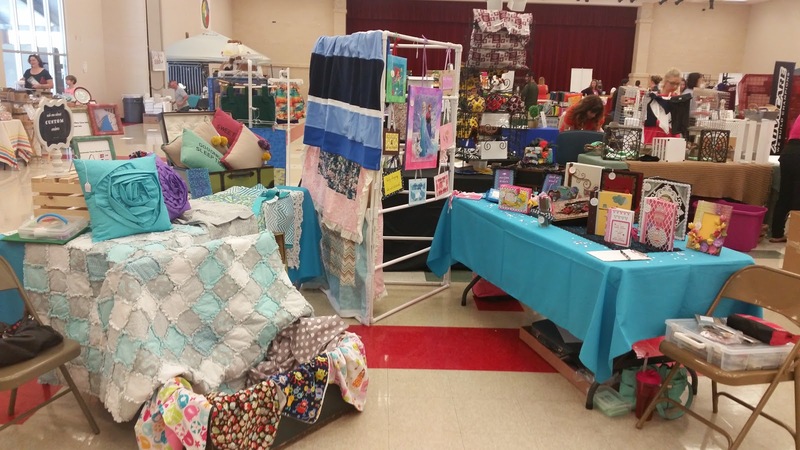 I had prepared myself to not be disappointed if I didn't sell a single thing since several people told me that when they did craft fairs, they didn't sell anything until their second or third show. Sadly, it seemed the coordinator didn't advertise the fair much and there weren't many people that came out. I did sell two things though! One of them was the Baby Boy Monthly Album (Brown and Yellow cover above.) I didn't take any pictures of it like I had wanted to (to keep in my portfolio) except for that one. Mom showed me how to heat emboss the lettering in this album.. and now I can't stop. Seriously, all I want to do is heat emboss!! It's a problem really. 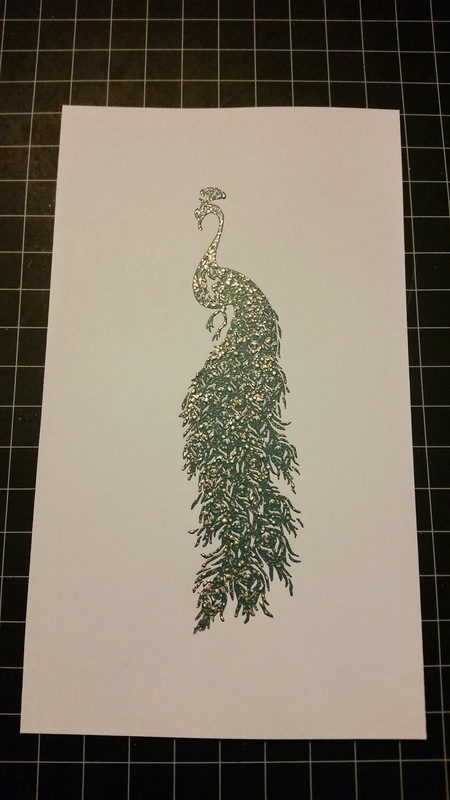 I didn't need to do that peacock. It just happened. The other item that I sold was actually one of my favorite creations! I bought a Frozen puzzle at the store one day and thought it was gorgeous. I struggled with ideas how to display the puzzle. I ended up getting a canvas slightly larger than the completed puzzle to attach it to. I went around the outside of the canvas with a snowflake flurries stencil and some modeling paste. Then I used various inks and sprays to coordinate the canvas with the puzzle. Finally I added some loose jewels around the picture and voila! Done. I was pretty pleased with how it turned out. I have another fair coming up that I'm doing with Gina in Georgetown. 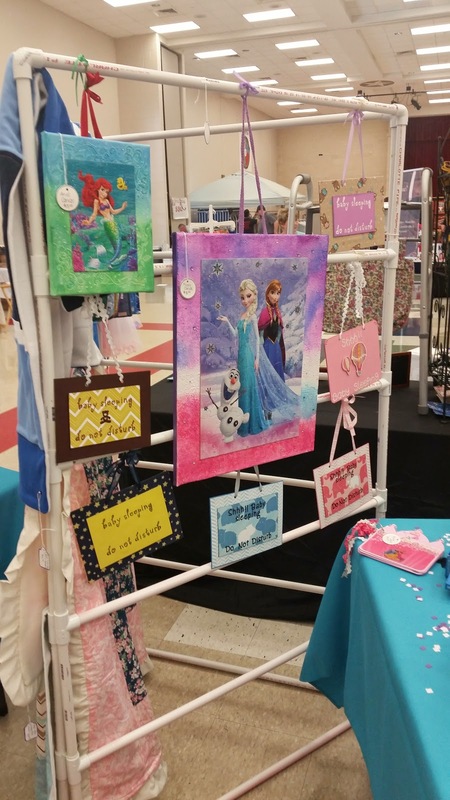 Other vendors at this recent fair kept saying how much better the Georgetown fair will be since it's so much bigger and there will be many more people. Overall this was a good experience because Gina and I got a feel for how it'll go with us sharing a booth. I even bought something (that I DO need.. really) to hold my sprays in instead of a box, or just loose on a shelf. It's a really gorgeous handmade cabinet with a lace front, adorable vintage type knob, and enough room inside to hold all of my sprays!